Developed by KOG Co., Ltd., which is relatively new to the mobile gaming industry, GrandChase is an action-RPG that serves as a sequel to the equally popular PC MMORPG Grand Chase which was available online for about 8 years. 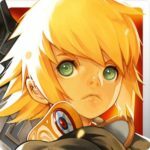 As KOG Studios has an admirable reputation for MMORPGs with several hit titles like Elsworld, Aima Online, and HeroWarz; GrandChase, as their first entrant to the mobile gaming market promises to make a name for itself as it already earned more 500 thousand installs from the Google Play Store alone after just a few months after its release. Regardless if you have played the previous incarnation of the game before or not, GrandChase is packed with vivid graphics and an action-packed gameplay that is still very much unique and entertaining relative to today’s MMORPG standards. There are loads of content to explore as well in addition to the indulging storyline that GrandChase contains. If you’re into MMORPGs and is looking for a game to invest some time on, then you better check this game out. Follow the Story of Kyle, Cindy, and a host of friends they encounter along their journey as you traverse the continent of Archimedia. In response to the looming evil set to destroy the world, your task is to re-establish the GrandChase to oppose Kaze’aze and restore peace to the world. With 70 unique heroes you can collect and use, you can choose how to engage in every battle following your preferences in choosing your team. As challenges grow over time, so too must each of your chosen heroes and this can be done with various upgrade and enhancement systems that both strengthens each character as well as customize each of them. There are various additional game modes that you can unlock as you progress through the story and there may even be more things to do than you can have time for in a day. GrandChase provides a tutorial that is easy to follow, and as you make your way through the introductory chapter of the story, you will slowly and naturally get the feel of the game to be able to progress on it entirely on your own. Each new feature you unlock will also trigger an instant tutorial to walk you through it on your first go. As some of these tutorials are quick and simple and given the sheer size of information you may have to try and understand, there is much left for your own exploration and testing to efficiently utilize everything the game has to offer. Most especially for strategic approaches and optimum team-building decisions, it may become a little more complicated for players with not much background on action MMORPGs like GrandChase. 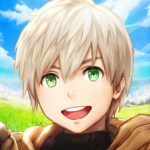 So whether you’re a veteran player of the genre who still aims to know more especially about features of GrandChase not available in other MMORPGs or a newbie gamer who is looking for some helping hand to understand the game better, our GrandChase beginner’s guide will surely help you form and enhance your team more efficiently and aid you in progressing faster through the game’s many game modes. Similarly to other mobile RPGs that have a story mode, GrandChase lets players dive deeper into the lore of the game to familiarize themselves faster with the characters as well as the game’s basic mechanics. As your first few minutes or hour in the game follows the introductory chapter of the main story, you will be receiving several rewards each step of the way. Although you may be taken into other game modes and features occasionally with the tutorial, you can always hop back into adventure mode through the Adventure Icon on the lower right side of the main screen. Once you select a sub-chapter in adventure mode, you will notice a recommended BP (Battle Power) just above the Ready Button. Be sure to take note of this as you may have a hard time beating a stage if your team’s BP is lower than what is suggested, although it is still possible. To be safe though, you can always make some tweaks to each member of your team before engaging a stage and pressing the Start Battle Button. Before you start each battle, you can click on the Star Icons on the lower left of the screen to check set objectives to earn you 3 stars on each sub-chapter. You would want to earn 3 stars on each stage to earn additional stars as well as free heroes at the end of the chapter. Once you’ve hit a stump and falls short of the recommended BP, then that would be the ideal time to enhance your team. With loads of freebies you can earn, you will surely be able to gather more than four heroes to choose from as you strive to form your ultimate team. There will surely be better heroes to join your collection later but for purposes of having a strong enough team to work with as you progress through the initial chapters of the adventure and some newly unlocked game modes, you need to begin choosing your starting team and make do with what you currently have. First and foremost, you may want to consider a character’s rank when choosing which ones you are going to keep in the party. Ranks may be B, A, S, or SR from easiest to hardest to acquire. You may not have an SR-ranked character yet at this point but surely enough, you will have at least an S and several A’s, forget about B-ranked ones for now. What you would want to do is work around a team that works well around your S or SR-ranked hero or heroes and ensure that your team is composed of characters belonging to a different class or having a unique role. So if you have 2 S-ranked characters but both have the same class, you might as well settle for an A-ranked one form a different class instead. Keep in mind that rarities here determine the overall strength of characters in that higher rarity characters do exhibit better stats and skill sets. Just the same though having a full party of S-rank Rangers or Assaults won’t take you that far in the game. There are 5 unique classes in GrandChase and each one is important to have in your party. The decision on which one to leave out will mostly depend on the specific skills each of your chosen character possesses and your preferences as well. Perhaps the most basic class is the Assault Class which basically portrays warriors in many RPGs. These classes exhibit high close combat physical attack and can be pretty tough as well. Assaults typically take the front row and lead your team in battle. Tanks are in a way defenders and not only exhibit higher defense stats but also provide defensive buffs for the party. Characters belonging to this class may exhibit enemy-provoking as well as crowd control skills as well on top of the usual team shielding buffs. Mages and Rangers are like two sides of the same ranged attacker coin with Mages exclusively dealing magic damage while Rangers focus on physical damage. Contrary to the usual consideration that Mages have more AoE while Rangers mostly have focused attacks; in GrandChase, these aspects can be pretty mixed with various characters. Lastly, but definitely not the least are Healer Class characters which heal and protect party members with some buffs and status ailment removals. Assaults, Mages, and Healer classes typically make up the standard components of an efficient party with Rangers and Tanks being the points of decision depending on whether to go more offensively or defensively. These decisions may depend on the characters you have, taking into consideration each other party member’s set of skills as well as your own preferences and play style. Once you have selected the characters to form part of your main team, you may want to test them out in the battlefield before you start investing on resources to develop them further. 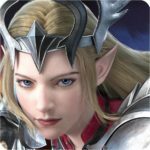 On top of some heroes that join your team as you complete stages in the Adventure Mode, there are additional ways to earn heroes and obtaining more characters to choose from is crucial at the early part of the game as you may still obtain higher ranked characters before you begin investing resources on them. The basic source of acquiring additional heroes is through summoning at the shop. You can spend tickets as well as gems here but there are free attempts you can take advantage of from time to time. If you choose to spend for additional ones, be sure to do so by bulk and purchase the x10 option to earn an additional free hero. There are several ways for you to make your characters stronger in GrandChase and every bit of enhancement you invest in will result in an increase in each character’s BP as well as your team’s overall BP. For starters though, you may choose to just raise your BP enough to take on the immediate challenges ahead as you may get better heroes soon enough and would want to make revisions on your current roster of heroes. The most basic hero enhancement option is Hero Upgrade. You can access this by tapping on your hero through the Party Icon on the lower left side of the screen or the bag icon on the upper right and then clicking the Hero Growth Button. You can feed Monster Cards you have earned through adventure and event rewards to your hero and level them up to a certain +x, which depends on their star rank, and evolve them to the next star level. The star level of monsters you feed determines the probability of it being a success. You can earn additional monster cards by replaying some adventure chapters and you can also summon some from the shop at the cost of gems. Once a hero reaches max level at 6 stars, you can awaken them. For now though, since you are still on your preliminary main team, just ranking your heroes up enough to succeed in the story chapters and game modes you have unlocked should be enough. You can also equip your heroes with a variety of gears that you can acquire from adventure quests and events. As it may take a while for you to equip each of them, you may want to prioritize some over the others. Perhaps setting the front liner as priority 1 and the healer as priority 2 is a good way to go. If you need additional equipment, feel free to replay certain stages in adventure where you can get the specific equipment you need. As you engage in more activities and gain more levels you can unlock several Party Skills that you can use in battle. While there are Party Passive and Defender Passive Skills to be unlocked later on, you will only initially have Party Skills to work on. You can select up to three of these skills at a time so be sure to choose the right ones that complement your party the best. IF you feel you lack more offensive capabilities, then equip Light’s Judgement; if you need more hp recovery, then grab Healing Touch as well. As more and more skills add up of the wide variety of choices available for you, start investing on and maxing out the ones you usually use. Be sure to always keep on researching to level up all the skills available. As you can only initially do 1 research at a time, it will take a long while to max everything out. You can spend gems as well to unlock additional research cues. In Hero Training, you consume items called Blessings of Valor as well as gold to boost stats of a particular hero class. Each upgrade you do will affect only 1 member of your party if you chose to make a full party comprised of different classes as suggested. With this, you should spread out upgrades as far across classes as you can with priorities on classes that you currently use. Keep in mind that each upgrade makes the next one a bit more expensive and if you can’t keep all classes at the same level in Hero Training, then try to upgrade the more important ones first. It’s common to feel unburdened by mobile game options granting players an auto mode mechanic where you can just watch and enjoy the game like a show and witness the seemingly more efficient assault of your characters at the hands of an A.I. If you’re wondering why there are separate buttons for each though, it’s because some stages simply need you to move your party manually like in some battles to avoid traps and heavy damages. As convenient as it is be sure that you are well above the recommended team BP before you rely on auto mode. Although you may still take some time to master timing and directing each of your character’s special moves and the party skills, you will perform in battles a lot better than the A.I. in no time. There will always be only additional perks and none of the disadvantages for having in-game friends and guild mates in any online game that has such features. Regardless of whether or not the game you are playing is an MMORPG like GrandChase, having more active friends on top of being a member of an active enough guild brings a lot of advantages for you especially if you are pushing to make progress in the game. As you progress through the game and engage in many features and events, you will occasionally be rewarded with treasure chests that you need to unlock and for you to be able to do so, you need to collect and consume Adventurer’s Marks. Although these treasure key items can also be acquired as a reward from various accomplishments, having a steady supply of it from your active friends is an indisputable must for every player in GrandChase. Platinum Chests for one, which has a chance to grant you an SR-ranked hero requires 200 Adventurer’s Marks to open. As for joining a guild, you can participate in several guild exclusive activities and quests to obtain additional rewards. Some of these quests require you to accomplish objectives on your own, while others are dependent on the general activity of fellow guild members so having an active guild will certainly bear some advantages. One noteworthy option available in the guild is the Evostone Exchange. 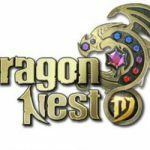 As you may need more Evostones for a particular class and have an excess of the others, you can freely trade it here with your fellow guild members. On top of the outright rewards you get from adventure quests and various battles from the different game modes you have unlocked, there are Daily Missions, Weekly Missions, and Achievements you can accomplish as well to earn extra rewards. While some of the objectives here are easily accomplished just by normally playing through the game, you may easily forget the others considering the number of activities on your plate in GrandChase . As you claim some of the rewards you have earned, be sure to check the objectives in the Mission Tab at the main screen from time to time so that you will have an idea of some objectives you have yet to complete. There are also events in the game that you should take advantage of as some of the usual activities you engage in as you play the game that earn you rewards for the missions can also contribute to achieving some objectives for the events. You may want to spend a little more effort in getting these rewards as some of the items and resources you can claim here are not as easy to obtain through other means. As you claim rewards from missions and events, be sure to check your mail as some of the reward items go here instead of directly to your inventory. When you click on the Diary at the bottom of the main screen, you may notice an indicator on the Book which means that you have unlocked certain characters or equipment in the game. This book just doesn’t show you all characters and equipment with highlights on the ones you have; you will also be receiving rewards for each piece of content you unlock in it. Although it may not seem much, every bit of reward you can get in GrandChase takes you a step further towards becoming stronger. As all resources are limited, you really can’t have more than enough of anything so grab everything you can and don’t mind saving some up as the higher your progress, the expensive it becomes to boost your team’s BP further. And this wraps up our GrandChase beginner’s guide. If you have read through each of the tips we discussed here, we are fairly certain that you can speed your game progression up further and understand each of the game’s numerous mechanics better. As there are still many possible updates to come from the game, we may revisit this again and bring you an additional guide. There may still be bits and pieces of concept and ideas that we have not included in this GrandChase beginner’s guide but if you have discovered something you feel is worth sharing and should be included in the guide above, be sure to let us know through the comment section below!